Harvest House Publishers, 9780736929134, 48pp. Horse lovers, outdoor enthusiasts, and those who appreciate the art of great storytelling will be delighted by these engaging tales from contemporary cowgirl Rebecca Ondov. 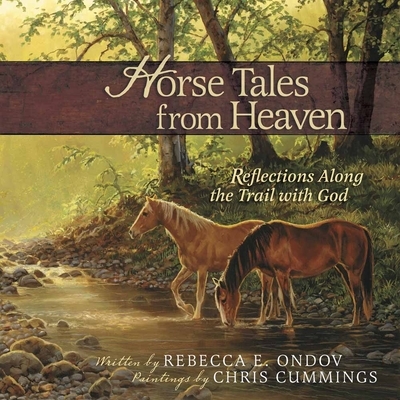 Breathtaking paintings by artist Chris Cummings transport readers to creation's wonderland, while Ondov's adventures illuminate godly wisdom gleaned along the trail. This beautiful stable of stories and paintings is a celebration of the life and faith lessons horses offer those willing to follow their lead and is sure to delight seasoned riders, ranchers, or anyone who's ever wished for a pony. Rebecca Ondov worked in the saddle on ranches, pack trips, and for the U.S. Forest Service. She's the founder of Blazing Ink, Inc., and has written numerous magazine articles and books, including Great Horse Stories for Girls and Horse Tales from Heaven. Living in Montana with her family and critters provides plenty of love and inspiration. www.RebeccaOndov.comChris Cummings paints the horses and rural scenes that she loves so much. Her popular, vibrant art is showcased in the book Unbridled Beauty and is enjoyed by fans on many licensed products. Her original oil paintings hang in private collections throughout the country, and she is always creating new work.